To go with your other vintage Noritake, I have 6 1/2" bread and butter plates in perfect condition. As of today I have 9 on hand. Enough for a set of 6 or put some back as replacement pieces. 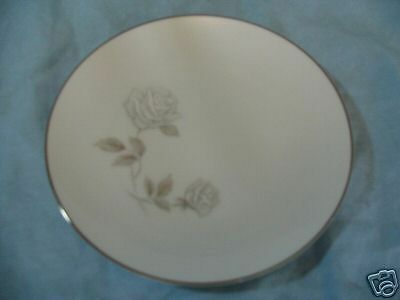 All stamped Japan Noritake Rosea 6216 on the bottom.